You may be already aware about Firefox plugin that copies text without formatting, now here is a general purpose Windows application to do just that - PlainText. For more information and download, please go to the projects home - PlainText home site. thanks for this good utility, but if you are using Office 2007, you can easily remove the formatting of copied text. 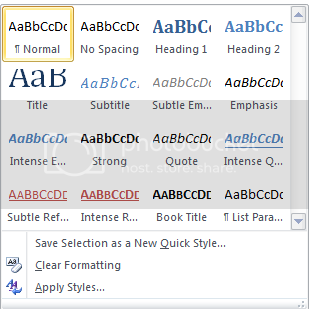 just select the text in your document and in styles click on down arrow and select clear formatting option from there. Now the text is shown in plain text.